Marguerite Gaquin, daughter of late Toll House baker Sue Brides, and I succumb to the charms of Boston TV host Maria Stephanos, up to and including Gaquin showing us her mother’s original recipe! 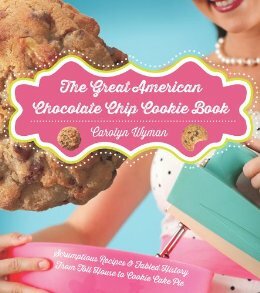 As chapter one of my book explains, Brides was chief baker for cookie inventor and Toll House restaurant owner Ruth Wakefield and was at her side when Wakefield invented the chocolate chip cookie. See more photos and what Gaquin says is the real, original recipe at WCVB’s website.